Sears had no lock on Christmas catalogs that children would covet. 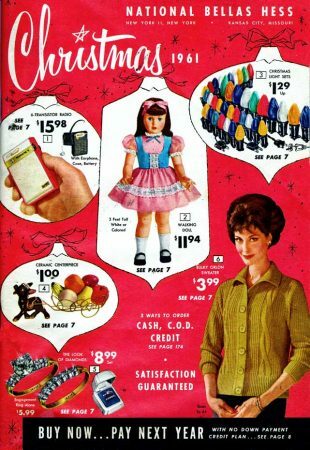 Here’s a couple of thin-paper pages from 1961 with toys that any mid-century video-besotted-kid would want. 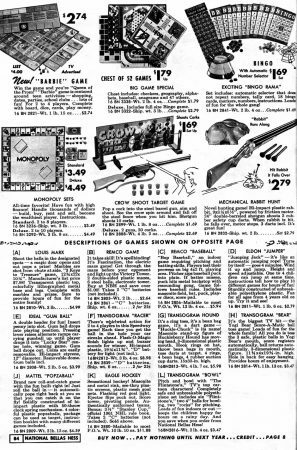 Hanna Barbera learned quickly that TV cartoons could spawn merchandising opportunities. And so here are Huckleberry Hound, Yogi Bear, and the Flintstones. 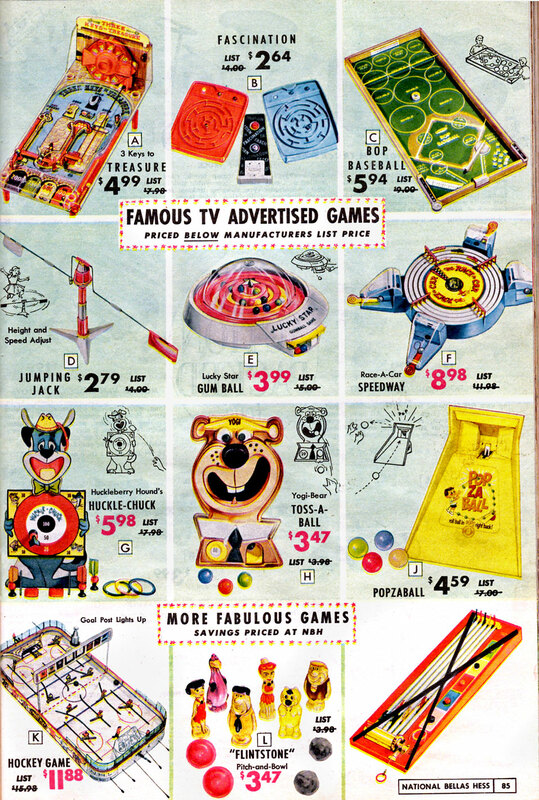 Plus there are games that showed up on all the Saturday morning commercials – Remco’s Fascination, Race-a-Car Speedway, Ideal Gum-Ball, the Mattel “Barbie” Game and more. 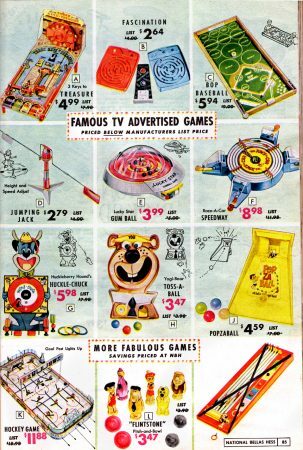 If you were a buttoned-down Aunt or Uncle buying for the nieces and nephews you could get Monopoly, or a bargain-priced “Chest of 52 Games”, at least 48 of which were boring according to any kid. 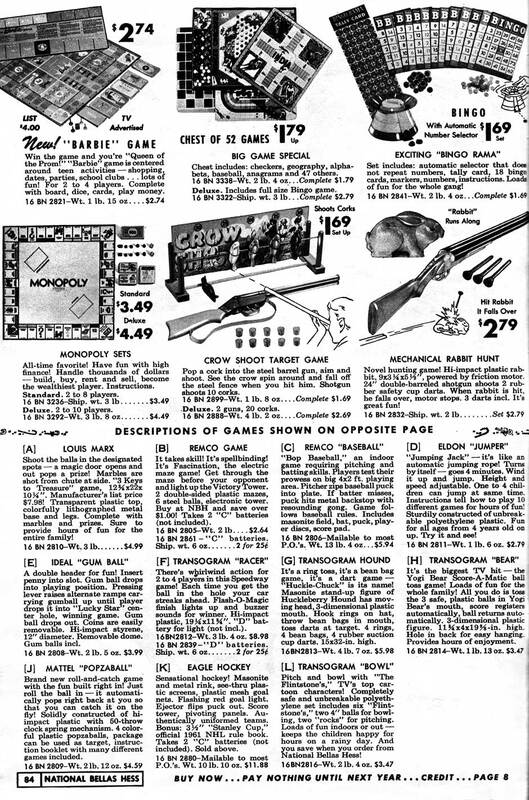 Clearly a Mechanical Rabbit Hunt or “Jumper” automatic jump rope would be MUCH more fun.